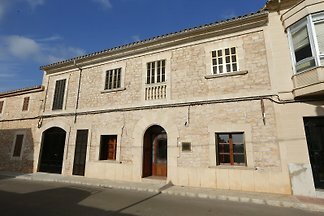 Wonderful house in a typical architectural Mallorcan style and with a special charm for 8 guests. This house is set near Es Llombards, just a few kilometers from the coast. It features a private pool and lot of space for 6 guests. This lovely country house with private pool is set near the quiet village Es Llombards. It can comfortably accommodate 4 people. from 5 2 holiday homes & accommodations in Es Llombards were rated with an average of 4.2 out of 5 stars ! Rent successfully your holiday flat or holiday home in Es Llombards in only 20 minutes !